Wanted to share my experience w the inspection process at Tahoe three weeks ago. I have a 2015 A20. Besides the ridiculous fees, they had untrained people running the south shore inspection station. Long story short they burnt out my port side ballast drain pump leaving my bag and tank full only on the port side. They did nothing to help and almost ruined our vacation before the boat ever made it to the water. The Axis dealer in Reno was rad and referred me to a repair guy in Reno who helped me get the pump out over FaceTime. Cool guy (if anyone needs a good mec I can send his info, I have his card). Beware of the Tahoe inspection, the people running it, and the 150 degree water they blast through your bags and tank. Wtf are they running water through your ballast for in the first place? It's scalding hot water and that's their idea of how to keep the quagga mussel out. The inspector guy also ran my engine dry for a minute and sprayed himself w the hot water at one point because he couldn't hook everything up correctly. It is crazy to me they have "seasonal employees" running the inspections. Rmilbour, curious about the reno referral? 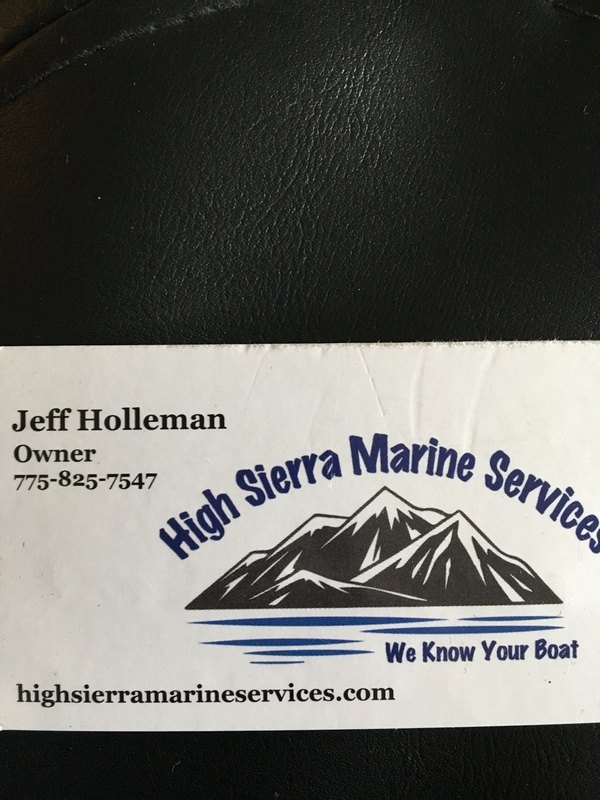 Here is the guys contact. He facetimed w me to get the pump out, I drove to Reno the next day and he showed me how to cut and splice the new one. Awesome guy, saved my vaca. No other repair person in Tahoe would help, and the dealer I bought from pretty much blew me off. Glad to hear Jeff did you right. He's definitely one of the go-to guys in Reno. Little update- it's been over 2 months and the inspection company still hasn't refunded any money, or reimbursed me for any repairs. The "supervisor" responds to me about two weeks after I ask for updates. Watch out for the south shore inspection sites!! Just reading through the forums and wanted to share some info. We put our Axis in Tahoe every year, late in the season. Waiting for the lake to not be freezing. We have always used the inspection station at Alpine Meadows, they are set up for multiple ballasts and have 2 to 4 stations operating. Drive thru Tahoe City and launch at the Coast Guard station, price is good and they have great protection from the wind and waves should you get caught out. Down side is that parking is cramped. You are right, the inspection price is ridiculous, but Tahoe is awesome and there are many little hidden beaches to find.